The shocking truth about the crackdown on Occupy? 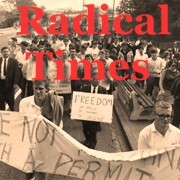 Editor’s Note: I have included the full article “The shocking truth about the crackdown on Occupy” by Naomi Wolf below. There has been blind acceptance of such analysis. It is true that US police forces are decentralised – but so are police units in Australia. Take Palm Island – Hurley & his mates did not need direction from above to come down hard on Cameron Doomadgee, did they? 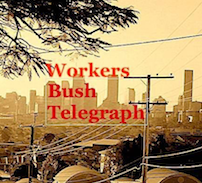 Police and local government in Brisbane, Melbourne and Sydney employed different repressive tactics against Occupy in those cities, they did not require direction from above to enforce their repression. Perhaps with Stalinism in the Soviet Union, the repression may have worked in the same way as US police forces, on a local level? This entry was posted in #Occupy, Recent. Bookmark the permalink. Paul LeBlanc is a veteran activist, a history professor at La Roche College in Pittsburgh and author of numerous books, including most recently Marx, Lenin, and the Revolutionary Experience: Studies of Communism and Radicalism in an Age of Globalization.